We all know a women who lights up any room she enters, or the woman who has never met a stranger. At GKC, one such woman is Terry Zuniga. Her bold personality cannot go unnoticed, nor can her boisterous voice go unheard. One top of that, her purity of heart and intention is truly remarkable–she is a walking example of the power of restoration and how God never gives us a task we cannot overcome. Though Terry has only been with GKC a handful of months, she has poured all of herself into this organization. 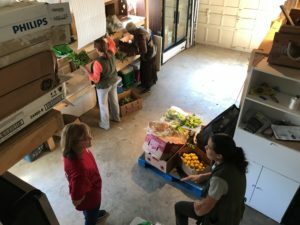 Her commitment to the community obvious–in fact, she even explained how she views her volunteerism with Grace Klein as she would a job. She works with GKC days, nights, and even some weekends! 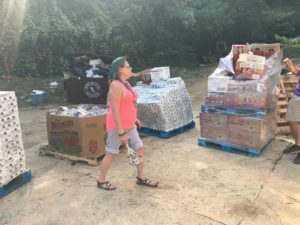 Terry can be found sorting clothes and goods in the Give and Take Room, at the office steps hauling in new deliveries, or down on the ground floor sorting and organizing food for her friends and other community families. Speaking of her friends, Terry has helped recruit several people to GKC, either to receive or to volunteer–or both. She seems to endlessly serve whatever community she is in, whether it is Grace Klein, a group of her friends, or the greater community as a whole. Her bounty of support and encouragement is magnetic, to say the least. 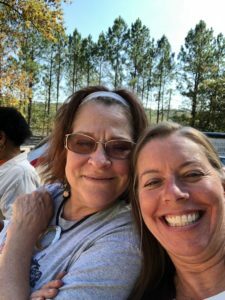 One of the aspects of Terry’s life that is so inspirational, is how she is continues to pick herself up again, and learn to love herself the way the rest of us do. Her strength and endurance are magical, but she is too humble to recognize the magnitude of her accomplishments and kindness…therefore GKC has no choice but to speak on her behalf. There is no group Terry could be a part of where she would not be a central member. Her ability to give to those who are struggling, even when she herself is having difficulties, could really help the rest of us put our priorities in perspective, and learn what it means to be a pillar for others. Terry’s lifelong calling is to counsel others in similar situations. 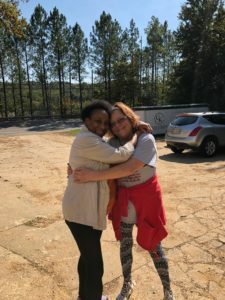 Though Terry is new to the Birmingham area, she feels a longing to stay as she has found family within the Grace Klein Community. We sure love our sister in Christ! A few secret ways she loves is creating and displaying flower arrangements around the office to bring a smile to anyone who may notice, creating beautiful food trays to host guests and even sharing her own artwork for our Networking for a Cause silent auction to help raise funds for Grace Klein Community. The way she smiles, greets everyone who enters, gives the best hugs are evidence of her great purpose at GKC and how she sees everyone and loves deeply. Terry makes us better!